I discovered that I took a picture of one of the meals we made when the kids were visiting. 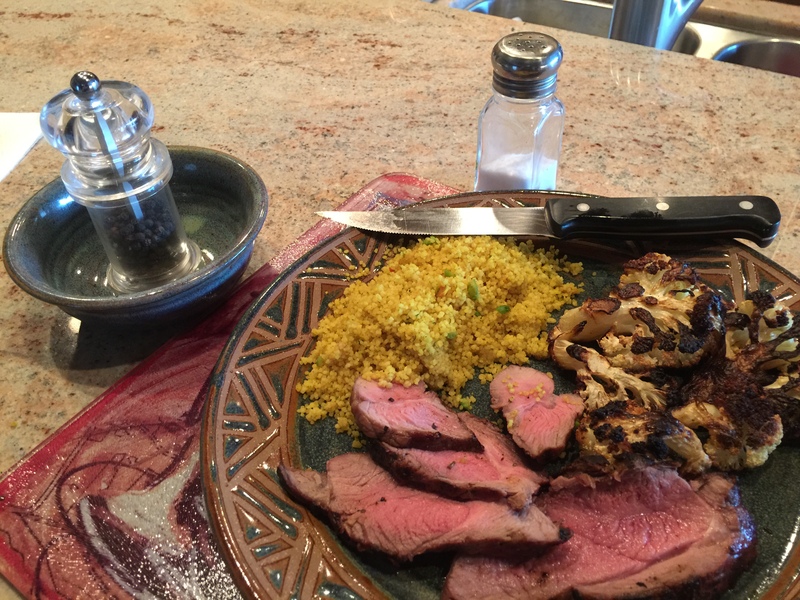 Since it is hot for cooking in the kitchen in St. George in the summer, we made this boneless leg of lamb on the grill long with some cauliflower. We have a special grill sheet for cooking vegetables on. This dinner’s leftovers were made into lamb fajitas few days later. This entry was posted in Grains, Grilling, Lamb and tagged cauliflower, couscous, Grilling, Lamb. Bookmark the permalink.